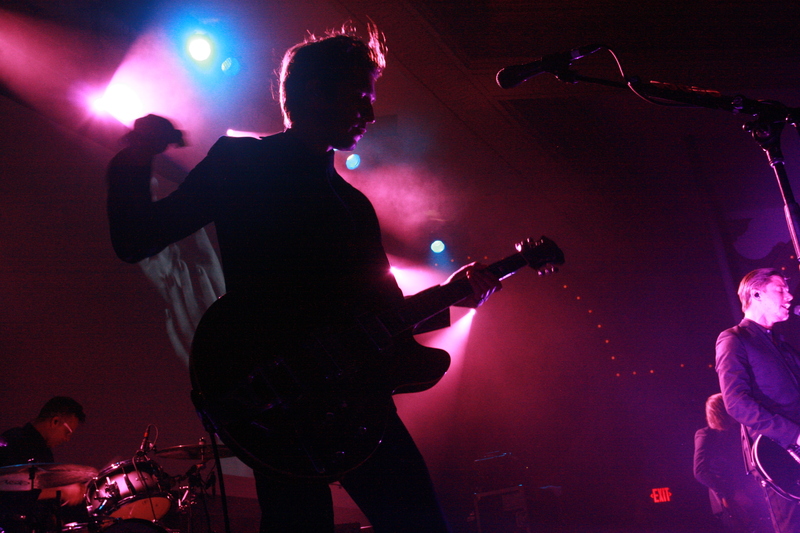 “I can’t believe this band has been around for fifteen years,” was one of the last things Faces on the Radio’s Yousef Hatlani said to me before we parted ways after Interpol’s set at the Crystal Ballroom. 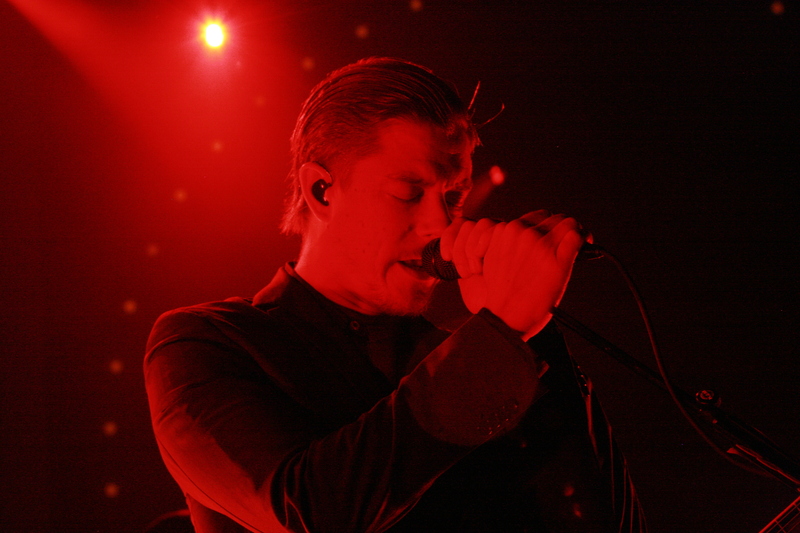 His awe is justified; Interpol could have not made it to 2014 just as easily as they seem to have arrived. They are not without loss, however: Aside from the absence of founding bassist Carlos D., Interpol are a band who have lost much (if not all) of the indie cred that radiated from their debut, Turn On The Bright Lights. That album, on its own, is approaching Pinkerton status in some circles – and not without warrant. But one severely underrated/forgotten sophomore effort, an uneven major label debut, and a (mostly) boring self-titled record later, Interpol are back on the scene in a way that seems bigger than recent memory. Let me say that the biggest surprise of the night did not come from Interpol, but rather from their openers: Mexico City’s own, Rey Pila. Had I heard of them before this show? No. Will I hear them after this show? Yes, and so will you. Judging by the band’s presence and performance, I’d say somebody has these guys on a fast track to buzz band blog banter. 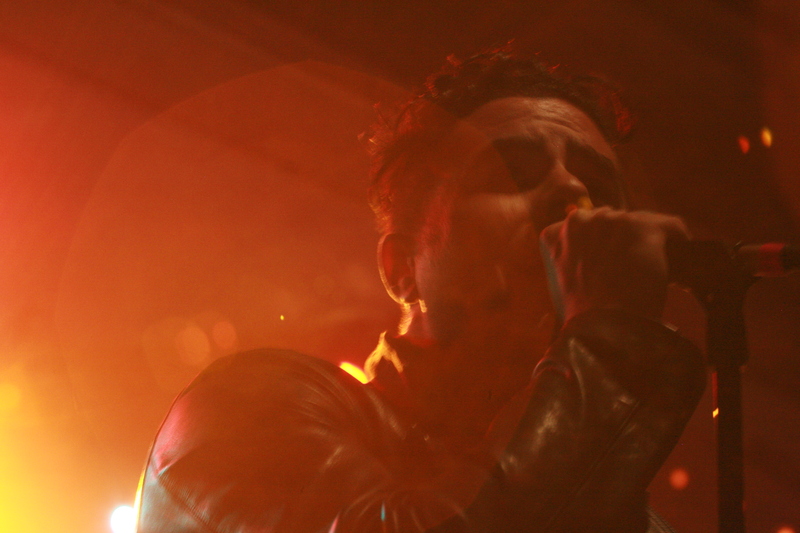 Their sound, which resembles a more muscular (and fun) Future Islands, was captivating – despite what seemed like next to nobody in the crowd knowing them. Their songs were big and fun in a way that headliners, Interpol, haven’t been in a long time and I’m of the opinion that once Rey Pila get on the US festival circuit and some love from stations like KNRK, they will be a hot topic. My only gripe: NO MORE SYNTH LOOPS. That sound is on its way out the door right now, so if Rey Pila can prove both adaptable and unique over time they will find a serious audience stateside. Their most recent output is a 2013 Single called “Alexander” which was immediately recognizable from the set and features a surprisingly killer cover of Chris De Burgh’s “Lady In Red”. According to the band, most of their set is from an album they’ll have out in January. I’ll be checking it out. Oh yeah, did I mention they were fun? Cuz they totally were. Interpol, on the other hand, has rarely established themselves as a fun band. The only songs remotely near that descriptor in Interpol’s catalogue are “PDA”, “Slow Hands”, “The Heinrich Maneuver”, and “Say Hello To The Angels” (which is a low-key “This Charming Man” ripoff if somebody hasn’t told you already). So what do Interpol go and do in their set? Play a solid three for four of those songs. Not bad! The Heinrich Maneuver was dearly missed but they managed just fine without it. 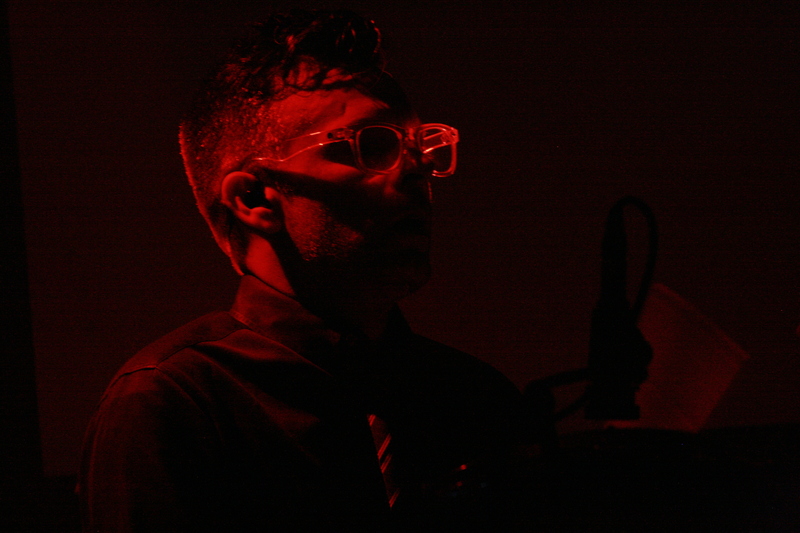 Under dense red lighting throughout most of the night, an obvious tribute to the cover of their debut, Interpol replicated the songs from their set with a startling professionalism not often scene at an Alternative rock show. Again, these guys are rarely fun; Professionalism, all black suits, red lighting, morose lyrics. But amongst all of that does singer/guitarist Paul Banks manage to slip in a Trailer Park Boys joke at one point? Why, yes he does. And does he cutely name off band members and song titles between tracks with a coy smile which exaggerates the boyish face he never seems to grow out of? Yes he does. “That song was called Evil,” Banks mentions after the sets second song sent the crowd into a frenzy. “OF COURSE IT IS, WE ALL KNOW THIS.” was probably not isolated to my own thought stream after that. Adorable. All night the band sounded fresh. Sam Fogarino proved that he is one of the most precise drummers on the planet, Daniel Kessler proved that there can still be glory to be found in being “the guitarist”, and Carlos D.’s replacement (because that’s all he’ll really be, even in the band’s eyes if Banks playing bass on their most recent album is any indication) was… well… passable. Interpol exuded a particular desire to impress throughout their set that I honestly wasn’t expecting. One could see how a band in their place could become complacent but they seem in it to win it all the while remaining uncompromisingly Interpol. 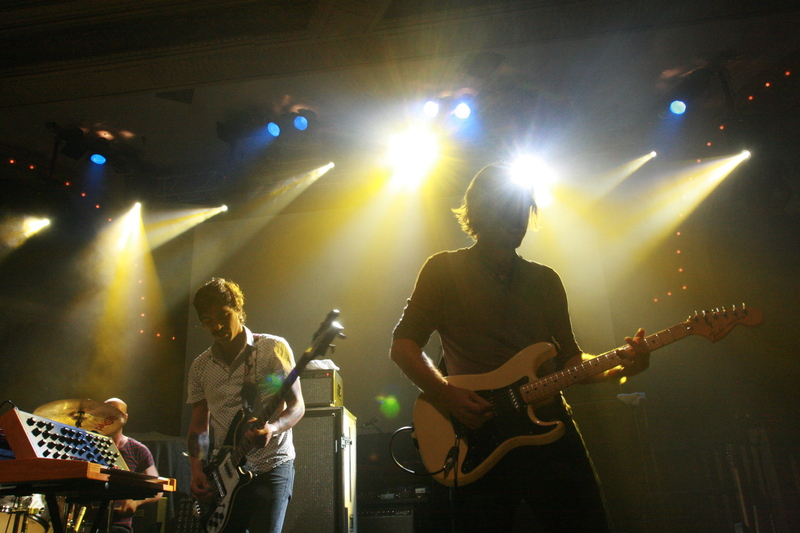 The set, at times, felt somewhat weighed down by an abundance of what is arguably the weakest material from their most recent album, El Pintor (An anagram of Interpol which is another sign that the band is having fun), “Breaker 1” and “Same Town, New Story” in particular. Otherwise, El Pintor cuts like “Anywhere”, “My Blue Supreme”, and “All the Rage Back Home” came across with similar intensity to staples like “Slow Hands” and “PDA.” Curiously, they refrained from the inclusion of El Pintor’s last three tracks, which are among the album’s heavy hitters. As I mentioned before, the crowd didn’t get “The Heinrich Maneuver” but the one song from Our Love To Admire that did show up was the album’s majestic closer, “The Lighthouse” which, coupled with a projection of a tempest behind the band, was perhaps the truest indicator of the power Interpol are able to tap into in a set filled with many such moments. Sure, it wasn’t one of those “I’m going to go home and rethink my life” sets but I don’t think anybody has ever expected that of them. On a side, personal, note. This year marks the 10th anniversary of Antics, the under appreciated sophomore record I mentioned earlier. The record, which featured two of Interpol’s most well known songs, “Evil” and “Slow Hands”, has bizarrely not undergone a reissue treatment like Turn On The Bright Lights did in 2012 (Yousef and I both own that one) but never fear as I still have the CD of Antics I bought at Walmart when I was 10 years old. It was the first album I can remember going out and buying with my own money. By that math, I have been listening to Interpol fairly consistently for half of my life. I think there is something to be said for the consistency on their part in that I can see them now as a 20 year old and still be just as excited about hearing them as I was half of my life ago. Even the new stuff. Well done, gentlemen.